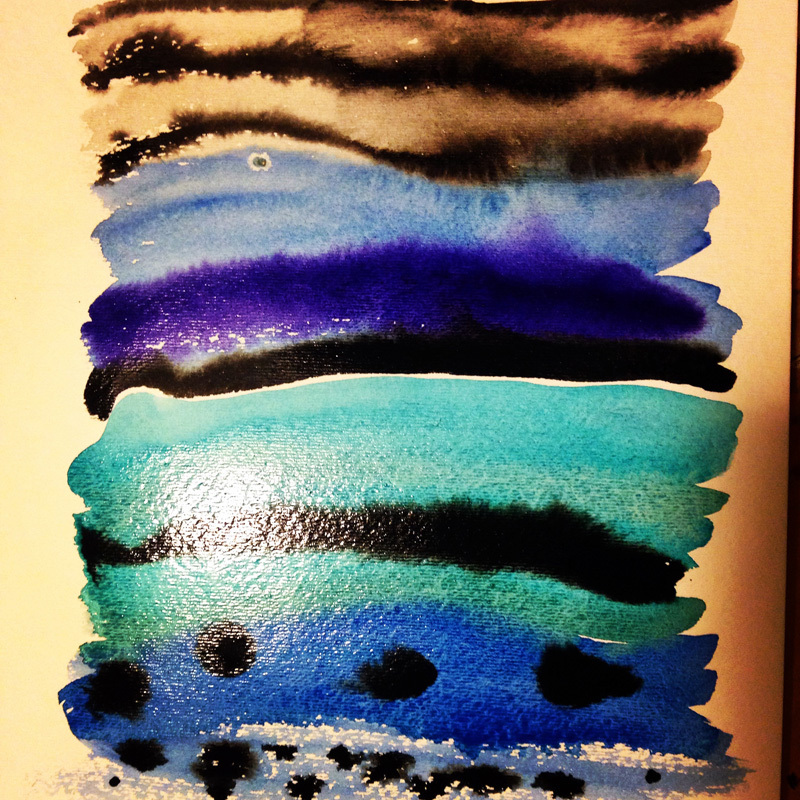 I am still carving out art-making time for myself, staying true to my New Year’s Resolution. Except I have been working on larger and more time-consuming projects, so I have fewer opportunities to share them. Soon, soon though. I have been keeping myself busy with updating one of our bathrooms. 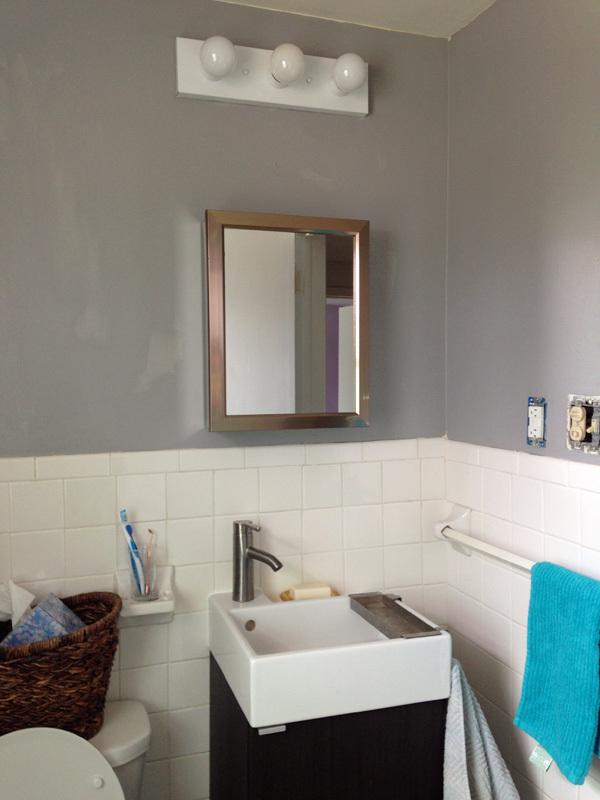 So far we have ripped out and replaced flooring, installed a new sink, and repainted the walls. Home projects move at a much slower rate when there are two small children to interrupt progress, so the finished product may or may not be ready for presentation sometime later this summer. 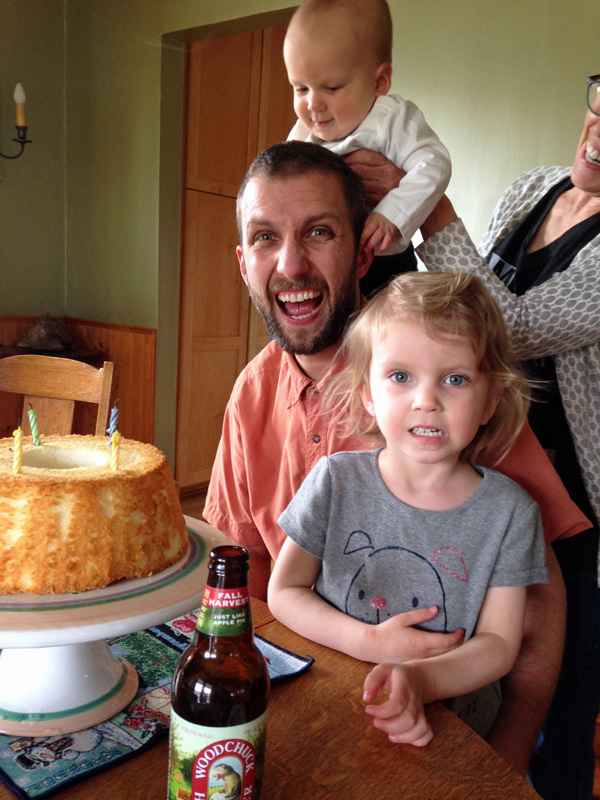 We of course made time to celebrate Eric’s birthday this month – a whole 10 years old! (That was Greta’s guess on his age.) I love love love the expressions in this photo. I finally got Eric on Pinterest so I can share project ideas with him more easily. 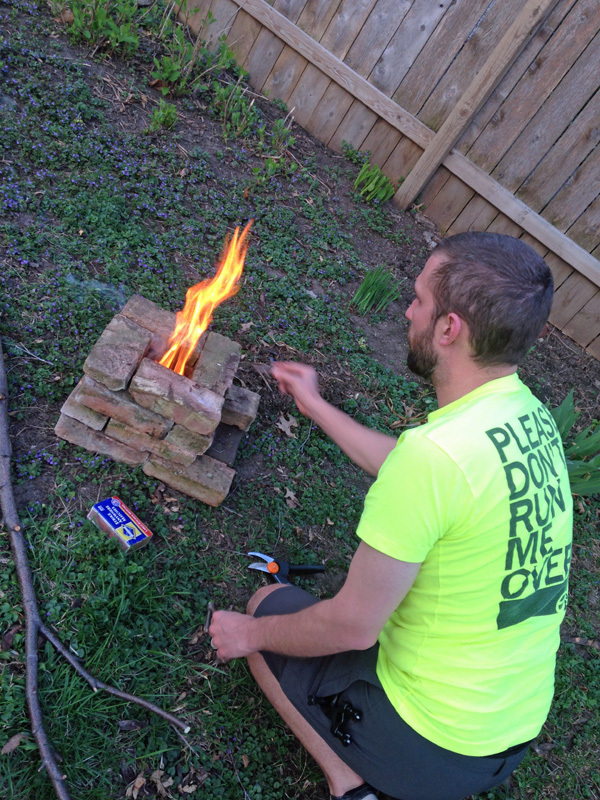 He has found a plethora of amusing pyro projects for himself, including this little brick rocket stove. Google it and you will find plenty of plans. It is small, cheap, and burns fuel incredibly efficiently. We plan to cook some meals on it in the near future. My number 1 kitchen helper these days is the youngest member of the household. 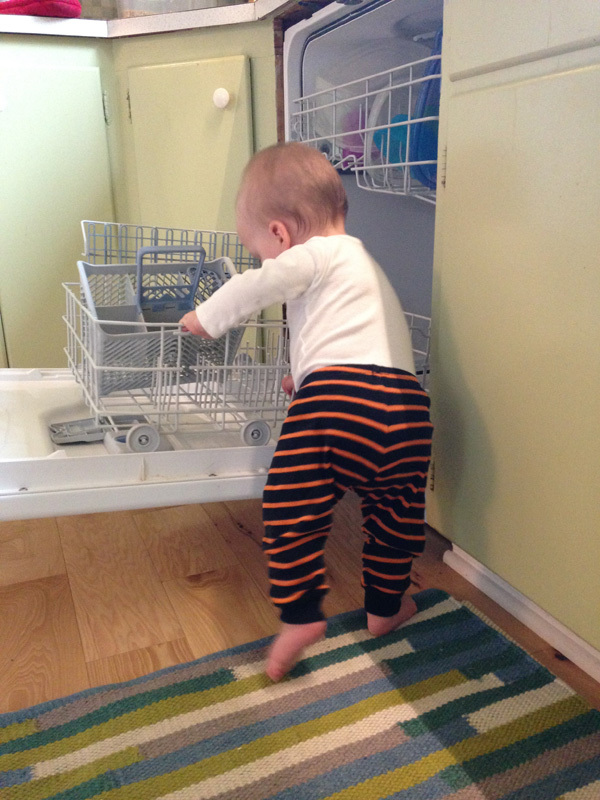 My little guy is on the move – crawling, pulling up, monkey around things, and trying to walk on his own. It won’t be long now until I am running after him. And with that brief update, I am off to enjoy the remainder of this rainy Sunday afternoon. I’ll be back soon to share more artwork and a killer nacho recipe. Enjoy!